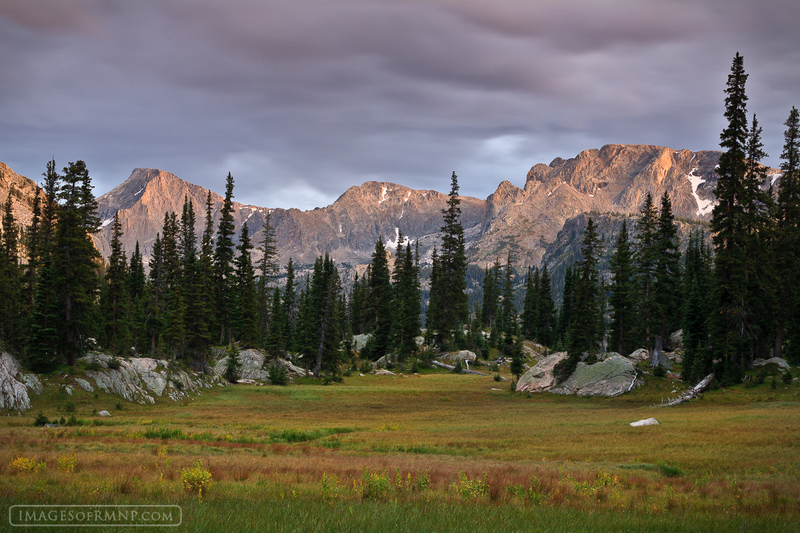 As I stood at the edge of this remote alpine meadow in the heart of Rocky Mountain National Park, the mountains are lit with the evening's last rays and the clouds of a recent thunderstorm hang low and ominous. It is mid-August and already the grass is beginning to take on its autumn hues. As the last of the thunder fades away, all I can hear is a small bubbling brook behind me. In moments like these I celebrate the goodness of our world. Photo © copyright by Erik Stensland.